Angel of the North and the amazing North East coastline with its array of castles and the dramatic Lindisfarne . 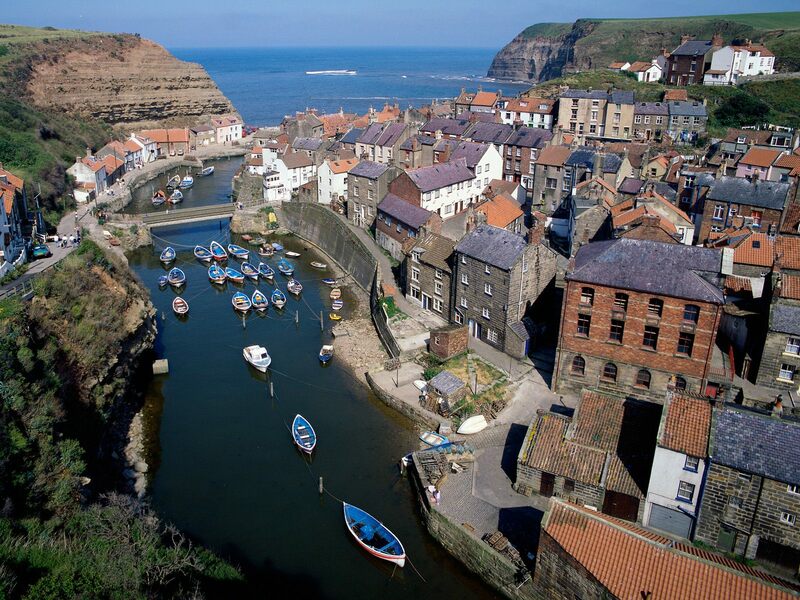 Whitby is situated on the Yorkshire Coast. To the south lies the coastal villages and resorts of Scarborough, Filey and Bridlington. 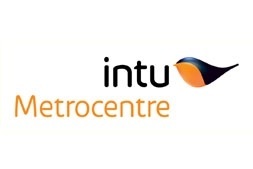 All these are well within a short drive from Whitby. 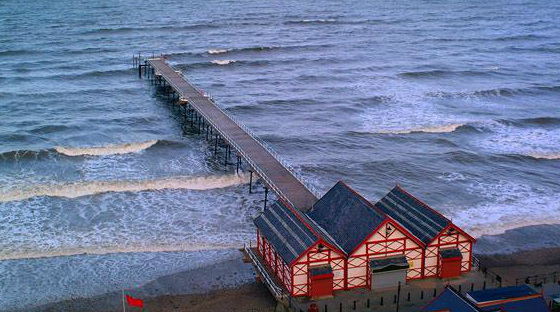 Whitby is situated on the A171 road from Scarborough to Guisborough which originally passed over the swing bridge. It is approx 40 miles from Stockton (about an hour) . Expect delays every Saturday and Bank Holidays when the weather is good as local people flock to Whitby from all around North Yorkshire and the North East . 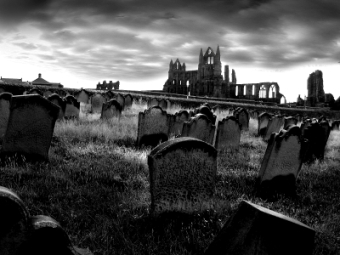 Such was Bram Stoker’s description of Whitby in his novel Dracula, published in 1897. The wonder is that the town scape has changed so little in more than a century. Whitby is an ancient port with a fascinating history, a ruined abbey and a working harbour. It also has sandy beaches, donkey rides and rock pools, not to mention some of the best fish and chips in the world. Welcome to Durham . 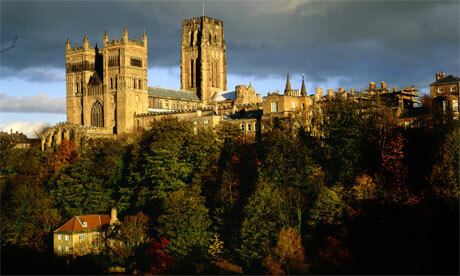 Durham City, home to the iconic Durham Cathedral and Castle World Heritage Site, sits at the heart of an extraordinary county where breathtaking countryside and dramatic coastline are dotted with cultural treasures. Escape to the peace and tranquillity of the Durham Dales and North Pennines Area of Outstanding Natural Beauty to relax and unwind or get outdoors and active. Or experience the rugged beauty of High Force waterfall and the Durham Heritage Coast. Step back in time and discover Durham’s fascinating history and heritage at award-winning attractions including Beamish Museum and Locomotion - The National Railway Museum at Shildon. And if you crave culture, you can’t get much better than the incredible collections and contemporary exhibitions at The Bowes Museum. 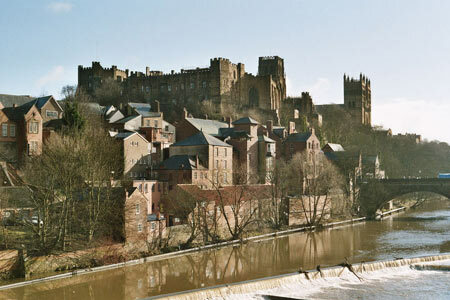 Take a short break in Durham and discover the cobbled streets of the city, where stylish boutiques and quirky craft shops jostle for attention alongside big name brands, whilst our lovely market towns offer their own unique shopping experiences. Saltburn's attractions include a Grade II* renovated pier, the only pleasure pier on the whole of Northeast England and Yorkshire coast. Saltburn-by-the-Sea is a seaside resort in Redcar and Cleveland, a unitary authority in the ceremonial county of North Yorkshire, England. 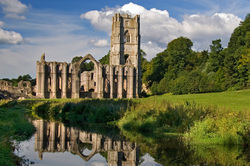 Historically part of the North Riding of Yorkshire, the town is around 15 miles (25 km) east of Stockton on Tees. The Saltburn Cliff Lift is one of the world's oldest water-powered funiculars—the oldest being the Bom Jesus funicular in Braga, Portugal. After the opening of Saltburn Pier in 1869, it was concluded that the steep cliff walk was deterring people from walking from the town to the pier. The cliff tramway opened a year later and provided transport between the pier and the town. Hartlepool is full of award winning attractions such as the Hartlepool Maritime Experience, the HMS Trincomalee and the Museum of Hartlepool. There are also loads of other places for you to visit such as St Hildas Church and Camerons Brewery. 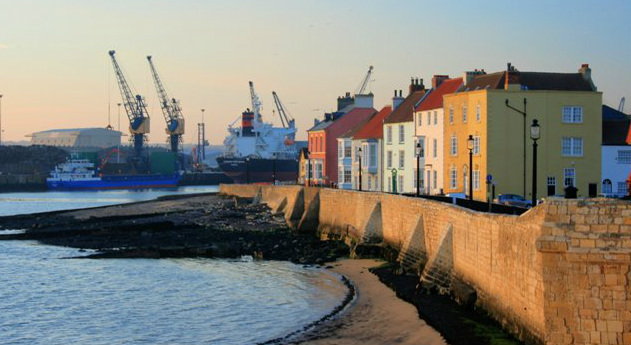 Hartlepool's Maritime Experience, (formerly known as Hartlepool Historic Quay) is a superb re-creation of an 18th century seaport and a fantastic place to visit for families, groups and schools - in fact everybody. It brings to life the time of Nelson, Napoleon and the Battle of Trafalgar. 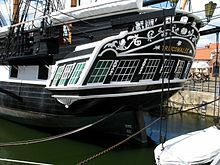 HMS Trincomalee 1817 is now restored as a museum ship in Hartlepool, England. 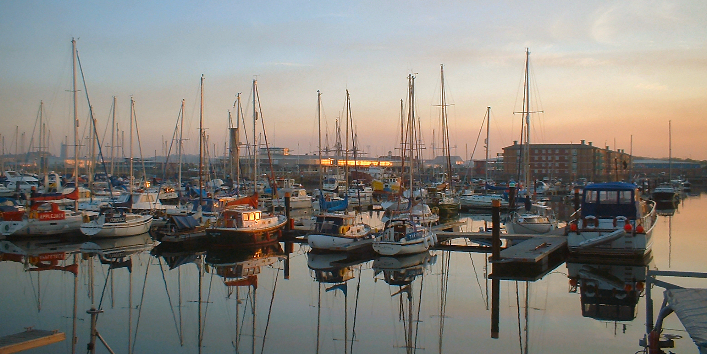 You will be spoilt for choice with the eating out offer at Hartlepool Marina - a great place to visit either day or night! Navigation Point is a busy hub of bars, cafes and restaurants offering tastes from around the world. The Marina is home to to nearly 500 boats and yachts and a water playground for those wanting to try paddle boarding and Thundercats. It is also home to a range of exciting events every year and also Hartlepool's honeypot attraction, Hartlepool's Maritime Experience. 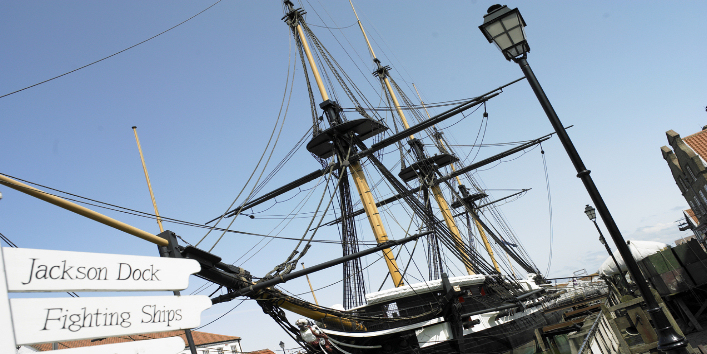 HMS Trincomalee is the oldest British warship still afloat and Hartlepool is proud to have it! With its towering structure and thundering cannons, is a perfect tribute to Hartlepool's seafaring tradition. Built in Bombay, India in 1817, the Trincomalee was brought to Hartlepool in 1987, where it has taken over 10 years to restore the ship to her former glory. Town Wall, Hartlepool, Durham, Great Britain. Dating from the late 14th century the limestone wall once enclosed the whole of the medieval town. The picturesque houses overlook the entrance to Victoria Docks which can be seen in the background. Roman Empire from the barbarians to the North. The result was Hadrian's Wall, a 73 mile barrier stretching from the River Tyne in the east to the Solway Firth in the west. Segedunum, which means strong Fort, stood at the eastern end of the Wall and was home to 600 Roman soldiers. For almost 300 years Segedunum guarded this important part of the frontier. Today, Segedunum is once again the gateway to Hadrian's Wall. It is the most excavated Fort along the Wall and has a large interactive museum plus a 35 metre high viewing tower providing outstanding views across this World Heritage Site. 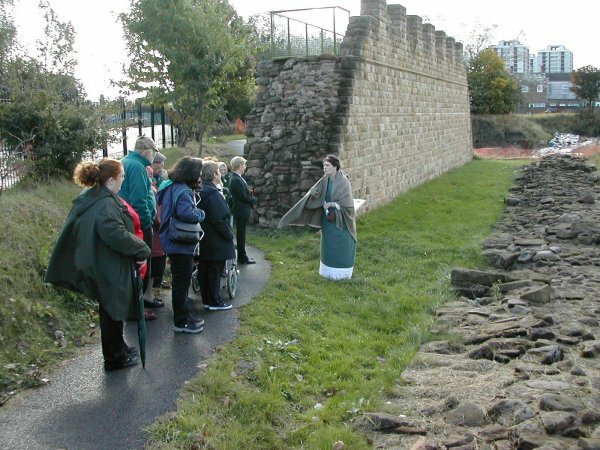 Segedunum is based on Buddle Street in Wallsend. There is free car parking at the venue.